Dr. Energy Saver Of Connecticut believes in the importance of maintaining a healthy, comfortable and valuable home. What better way to do just that, than by contacting us to diagnose your home for energy upgrades and repairs? Through a home energy evaluation, we will be able to identify those areas in your home that may be costing you money you weren't even aware you were spending! Once the areas are pointed out, we then suggest the perfect repairs, upgrades and installations that pay for themselves. Even better is the fact that we're trained and certified to perform the work, or we know just the people who can help. Since we at Dr. Energy Saver Of Connecticut are all about savings and value, we want to direct your attention to the valuable rebate programs and incentives that we provide, and Connecticut offers its residents. Dr. Energy Saver Of Connecticut offers energy rebates in CT and also informs you of the state savings for which you qualify! There are several ways to save, from federal tax credits and rebate programs, to savings programs and more! For a valuable list of energy rebates in CT, make sure you visit the DSIRE site. Once on the site, just locate Connecticut and read about the programs for which you qualify. As your local energy contractor, we are certified and trained to suggest the appropriate repairs and provide the work. Contact us today regarding rebates and savings, and schedule a home energy evaluation in Stamford, Norwalk, Hartford, New Haven, Danbury, Greenwich and nearby areas! Call 1-855-201-5406 or contact us online for a free home energy evaluation and home energy repairs estimate. 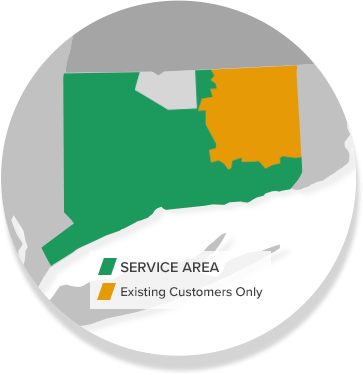 Dr. Energy Saver Of Connecticut proudly serves the local areas including Stamford, Norwalk, Hartford, New Haven, Danbury, Greenwich, New Canaan, Westport, Darien, Ridgefield, Hamden, West Hartford and nearby!